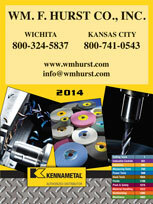 If you want to purchase industrial power tools for your business in Kansas City, Wichita, Dallas, Fort Worth, or another nearby city and want to deal with a distributor that has in-depth product knowledge, then turn to Wm. F. Hurst Co., LLC. Our unmatched level of industry supply expertise and our dedication to providing exceptional customer support are among the reasons we have become the industrial supply distributor of choice for countless businesses throughout the Midwest. We not only offer a comprehensive selection of power tools, but we have an immense knowledge of these tools and their applications. We can assess your needs and identify the tools that will help you improve processes within your operation. In addition to our wide selection of power tools, we offer a comprehensive selection of other industrial supplies, including coated and bonded abrasive discs and belts, semisynthetic and soluble oil metalworking fluids, and personal protective equipment. 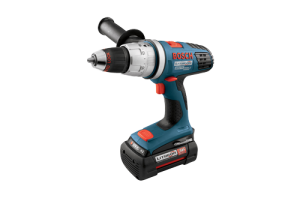 For more information on our selection of industrial power tools for sale from top-rated manufacturers, or any of the other industrial supplies in our inventory, please contact Wm. F. Hurst today. We proudly serve businesses in Kansas City, Wichita, Dallas, Fort Worth, Joplin, Springfield, Sedalia, and other cities throughout the Midwest.